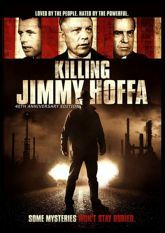 Jimmy Hoffa's disappearance is one of the great mysteries of the century. Despite a massive Federal investigation -- spanning four decades and hundreds of suspects -- only the general contours of the crime are known. In American mythology, Hoffa is both hero and villain. He was a self-made man who ran the nation's largest union�and was so beloved by the rank and file Teamsters that they supported him as union president even as he served time in prison. Hoffa's glory years coincided with the golden age of the Union movement, but he was also enmeshed in the Machiavellian world of organized crime. This documentary tells the whole story for the first time. Exclusive interviews, and never before seen news footage and photographs, reveal the real story of the day he died.